MEMPHIS, Tenn. (WREG) -- Nino the dog is now under close care at Memphis Animal Services. He's eating every two hours and trying to get his strength back. In the last few weeks, Nino has defied the odds. Officials said they got a call about a dog left in someone's backyard. They found Nino in dire circumstances and said they don't know how he's still alive. "Nino has zero evidence of fat on his body. Nino is a skeleton with skin on him. Nino is lucky to be alive today. 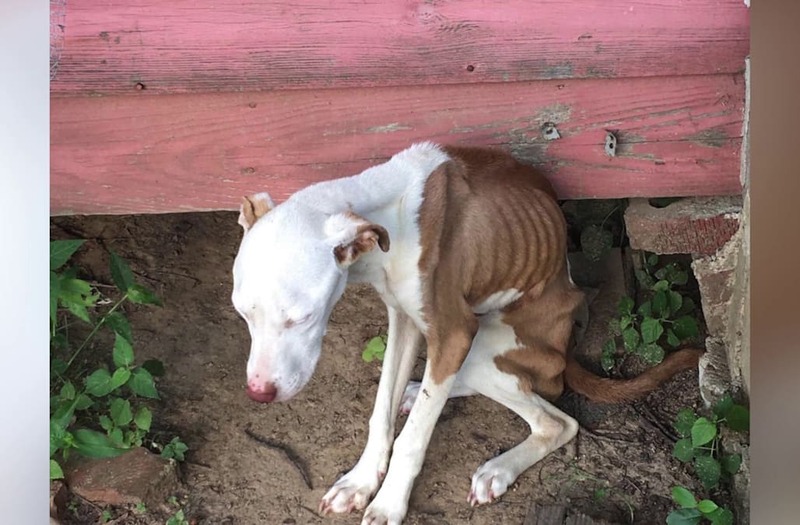 When you talk about the worst level of starvation, that's what we're talking about with Nino," said Alexis Pugh, director of Memphis Animal Services. Experts said he might've been eating dead animals or his own feces to stay alive. Police arrested the dog's owner, Kellen Jones, 27. He told police he was out of work and didn't have the money to take care of the dog. "The owner told [the officer] he'd been away three months. He'd made no arrangements to have the dog cared for," Pugh said. "The owner of Nino was very forthcoming with these details so perhaps he was unaware of his legal obligations." He now faces felony charges of animal cruelty. We knocked on his door, but no one answered. Neighbors said Jones is a good guy and they don't know what happened. Officials hoped it served as a reminder for the entire community. "If you see something, say something. Don't assume someone has already called us. Don't assume we've already been there," Pugh said. Meanwhile, experts were monitoring Nino and hoped to eventually get him in a foster home.